Olive oil is gaining adherents because of its many benefits. Do you want to know what some of its benefits are? Keep reading! As you probably know, the benefits of olive oil for health are enormous and usually associated with a healthy and typical Mediterranean diet. Let’s meet some of these health benefits. It is known to all that olive oil is very good for the cardiovascular system, but we will analyze a little more in depth action on our body. Saturated fatty acids: are fats of animal origin (meat, milk.) coconut oil and palm oil. 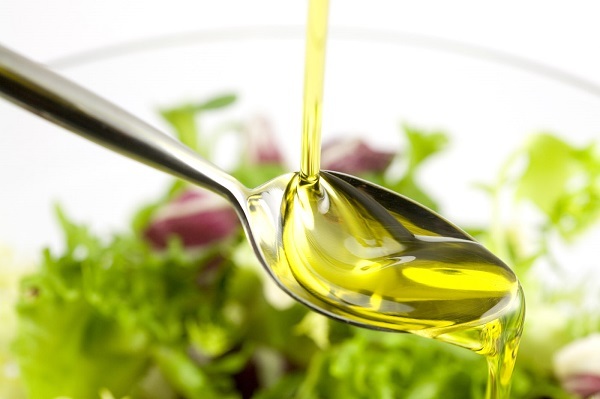 Unsaturated fatty acids: are in vegetable oils and fish. These fatty acids are divided into polyunsaturated and monounsaturated. Unsaturated fatty acids form 80% of virgin olive oil. These fatty acids are essential for our vital functions. An investigation conducted by the Center for Biomedical Research (CIBERobn) revealed that the virgin olive oil in food recipes improves the circulation of blood and prevents discomfort when walking. Although dermatologists recommend using a good moisturizer and drink plenty of water, olive oil is revealed as one of the best natural skin moisturizers. This product is an excellent alternative that moisturizes the skin in deep, but also softens and prevents premature aging and protect it from attacks generated by sunlight. Bad cholesterol is harmful because it blocks the walls of the arteries, which strangles the conduit and generates complications. This causes a high risk of cardiovascular disease and arteriosclerosis. The olive oil and its oleic acid increase good cholesterol. It allows the elimination of bad cholesterol because it is dragged from the arteries and it is carried to the liver where is removed. It is excellent for diabetics because a teaspoon of this oil is very helpful in controlling blood glucose. A study led by the University Hospital Reina Sofía in Cordoba (Spain) attributes this new beneficial effect of olive oil, at least in part to its high richness in micro nutrients and the possibility of acting on a direct effect, similar to anti-inflammatory drugs. It has been found that consuming olive oil prevents cell death, due to their antioxidant compounds such as phenols, which could attenuate aging, improve cognitive functions and prevent diseases such as Alzheimer. It helps the proper absorption of calcium and minerals such as phosphorus, magnesium and zinc, thanks to which it has a protective effect on your hair and nails. Olive oil is effective in controlling hypertension, but also favors the treatment of heart disease, stimulates digestion, improves the functions of the gallbladder and prevents certain cancers. Olive oil is rich in vitamins A, D, E and K. It promotes the absorption of minerals such as calcium, phosphorus, magnesium and zinc. Thanks to all the vitamins and minerals that olive oil owns, it is an excellent product for the eyes, skin, bones and immune system. Experts say that the benefits of olive juice in our health are scientifically proved. Olive oil is still used today for sanitary assistance. One of these benefits is the use of olive oil to treat ulcers. These conditions have a negative impact on health and quality of life, especially the elderly and / or handicapped population. 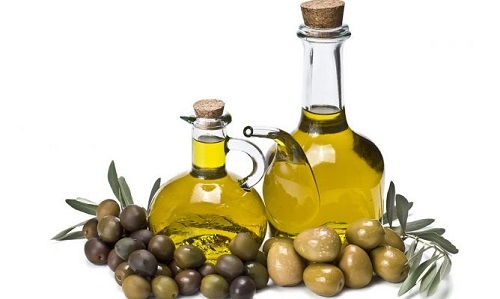 Researchers at the University of Granada and Malaga, Spain, have used olive oil to obtain nanocapsules that have shown their effectiveness in combating cancer cells in affected breasts. Olive oil has reduced the damage of healthy cells too. These microscopic capsules act as carriers for delivering drugs to tumor cell lines. Kitchen – Start using organic olive oil for cooking or as a replacement whenever a recipe calls for butter. Body Oil – rub olive oil on your body or face after washing. You do not need much to get great skin moisturizing benefits. It can be even used to shave your face or used to remove makeup residue. Hair and dry nails – Just take a drop of organic olive oil through your hair to control frizz and unruly hair. You can rub this oil on the cuticles of the nails for a polished and natural look. Control cough – Take a tablespoon of olive oil to soothe a sore throat. Glows in pots – Organic olive oil prevents scratches and stains naturally. Olive oil keeps in good condition your pots and pans. Lip Balm – Olive oil is the perfect lip balm to avoid chapped lips. It is also ideal for use in your hands as winter lotion. Bath Oil – Add a few drops of organic olive oil to your bathtub to be used for your shower. The skin benefits will be evident even after the first time you use it. Olive oil is a gift from Mother Nature. Use this oil on a daily basis and enjoy its benefits.